http://charlotteskitchendiary.com/2014/12/09/last-minute-christmas-cake/ I love Juju & Jordash because their music defies easy classification. (It’s all just really, really good.) “Tattoo’s Island” is a breath of fresh air in a summer of few distinctive singles. The beat is bouncy and infectious. Snares seem distant shots, treble synths swirl like sea mammals, and an old-school bassline buoys it all. The Tom Trago remix re-uses the bass sound for slow-building tech-house. It’s a decent club mix, but nowhere near as lovable as the original. 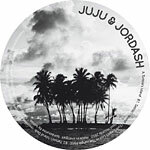 Thankfully, Juju & Jordash provide a fantastic dub. Reverberation creates syncopation, a la Mr. Finger’s famous “Mystery of Love” dub. Strings moan in darkness. Claps are otherworldly, while electronic voices coo. These are the kinds of bizarre, original sounds I truly love to hear on a big sound system. Come on DJs, make me happy. yep, their best record so far! so sick!